OptiKits! construct a complete building the fast and easy way. 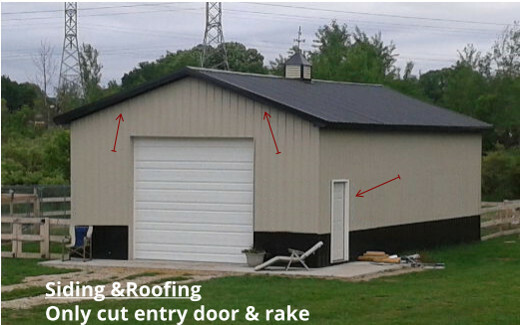 Buy one of our diy pole barn kits and save time and money. OptiKits! are diy pole barn kits designed to require less work to build your garage. OptiKit building kits can be quoted including attic trusses, porches, and other options not available online. 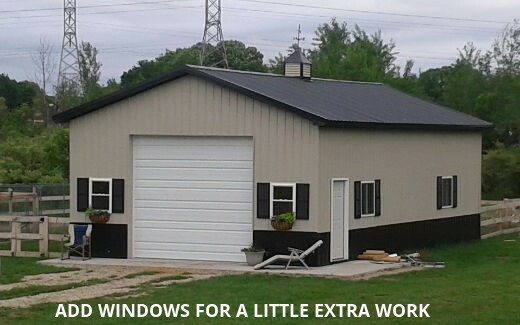 Each package is designed and engineered to building size and jobsite conditions. We adjust each package for proper post sizing, truss spacing, truss support and door header sizing. If you need engineered prints for a permit we can include that in your quote. Size changes on large openings and placement of additional doors may impact the optimized nature of OptiKits! Try OptiKits!, the simplest and fastest constructed garage building kits on the market today.